Choosing the best Wilson tennis racket is all about picking the most appropriate one. As such, there is no perfect model for everyone. Experienced players who have the arm strength may find heavier racquets with large heads to be their best option to maintain control while delivering sufficient power. For other players, a playful bounce to doubles rallies suggests a product that is exceptionally responsive even with light touches. It’s all a matter of making the right choice for you. 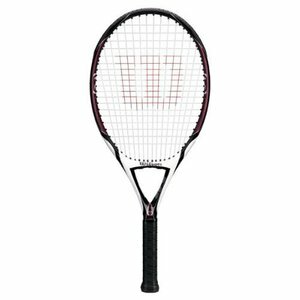 The Wilson Pro Staff RF97 Autograph Tennis Racquet is a Wilson Federer Tennis racquet through and through. Roger Federer was involved in the development and engineering of this product because it represents his signature moves. The Pro Staff enjoys an enlarged head size to provide a bigger spot on this Wilson titanium tennis racket to return the ball successfully and avoid the net.The personal racquet of this Wimbledon great, it is built for fast swings to attack the ball aggressively both during serves and on extended volleys when wishing to reach any corner of the court to win the point. The RF97 Autograph is not the same as the Wilson Hope Tennis racket which is an oversized one with a lighter frame only for recreational use rather that aggressive competition though both features enlarged heads. The braided graphite and Kevlar mix and Ampli feel high-tech handle do much to keep the weight down, yet the racquet still the weight of this model is 12 ounces. Some other models like the Wilson Pro Staff 97 model are lighter at 11.2 ounces. It is important to choose an appropriately weighted racquet for your arm strength and body shape. In many ways, this is the priority when choosing a racquet. Perhaps the best feature of this racquet is that it provides a steadier feel and enables players to follow through properly which will please their tennis coach no end. For someone who can handle the additional weight, the heft delivers more assurance for power shots. The compatibility with the Sony Smart Tennis Sensor Ready app is also a boon for a coach who can view stroke analysis provided from the racquet itself. The only negative is being able to get low enough to return ball his low over the net which the weight makes the dexterity require a little more challenging for inexperienced players who are unable to make the in-game adjustment to their game play. No cover is provided with this model. For many tennis players, that’s not a problem because they prefer to purchase a high-quality racquet cover rather than rely on the typically flimsy free one offered up by manufacturers as a temporary one to appease buyers who expect it. 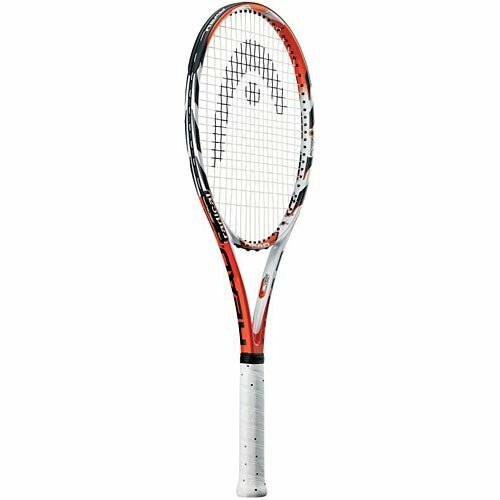 Given that the Wilson Pro Staff RF97 is the signature racquet in an extensive collection to suit different types of players, it’s unsurprising that the product dispenses with offering a cover. The Wilson [K] Zero Strung Performance Tennis Racket is a beginner to intermediate tool for the player who is still advancing in their tennis game. As a K Factor racquet, it is the lightest one in the range. Wilson is clearly a sports authority tennis rackets and tennis balls alike, but they’ve done well here to balance the needs for comfortable handling and bounce off the racquet.The main benefit here is for people who enjoy a lot of long volley rallies because the Zero Strung Performance Value racquet excels at providing real bounce with minimal effort by the novice or intermediate player. For more experienced players, the added bounce may not marry with their expectation for a racquet which will require either an adjustment to their game play to handle it or a change of racquet altogether. The Performance Value compares well with the Wilson Triumph tennis racquet. The latter is a low-cost beginner’s racquet strictly for recreational use that has an oversized head offering a larger sweet spot for new players with less accuracy. However, the Performance Value delivers more responsiveness.The racquet arrives already fully-strung ready to get on the court right away and put it to the test. The strings aren’t of the highest quality and will need replacing within 2-3 years or sooner, but tennis stores can restring the racquet with the right equipment. Wilson tennis racquets tend to be top performers for durability within their stronger frame technology. It is lighter than other racquets which makes it a better fit for players with slimmer arms and less dexterity. For families and friends who enjoy getting together regularly for friendly doubles matches, then this product’s ability to handle pithy returns with a good bounce to them certainly will make doubles matches more entertaining! 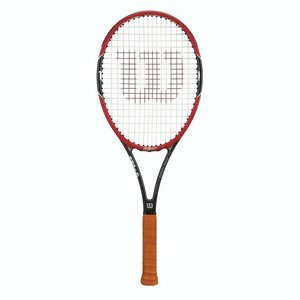 The Wilson ’13 Four BLX Racquet is light one that is best suited to younger players in the 11 to 16 age group. Below this age group and the Wilson ’13 Four BLX racquet will be too unwieldy to handle, and above this age, group players won’t be able to control the ball successfully.Wilson racquets may or may not come with complimentary strings. In this case, strings are supplied with this model being pre-strung so young players may run to the court and try it out. Some of the string is stenciled, but not in every case. No case is provided with this model, so a separate case to protect it needs to be purchased by parents. The 105-square inch size of the head is an appropriate one to keep swing speed manageable. Power shots are possible with this model, but at a medium speed in most cases. Stronger boys and girls will require a heavier model if they possess real power from working out in the gym. The use of Basalt in the racquet keeps the Wilson Comfort Hybrid handle drier too.Adult players who wish to share this racquet with their children can do so, but they’ll need to be more gentle with the power they apply to serves and long returns. The Wilson brand continues to develop out its range of tennis racquets to offer at least one product suitable for every player. The three products carefully reviewed above is an excellent example of this with a Pro-level racquet, a couples’ tennis racquet with higher rebound, and a lighter one for children (and their parents) to use. It is tough to go wrong with a Wilson product, especially given its reputation for manufacturing excellence from their decades in the industry.